With wedding season in full swing, I wanted to share a few suggestions to carry you through this season’s wedding circuit in style. From the casual backyard wedding to your swankiest black-tie nuptials, I’ve got you covered. That means eggshell, ecru, cream, or a dress covered pretty frosty sequins – those are all a firm no. If you have to ask someone else if the dress looks white to them… I’d avoid wearing it! If you’re able to find out the color the bridal party will be wearing, try to avoid wearing anything similar. You don’t want to spend the night explaining to everyone that you’re not a bridesmaid. You’ll be surrounded by someone else’s family and friends so keep it classy. 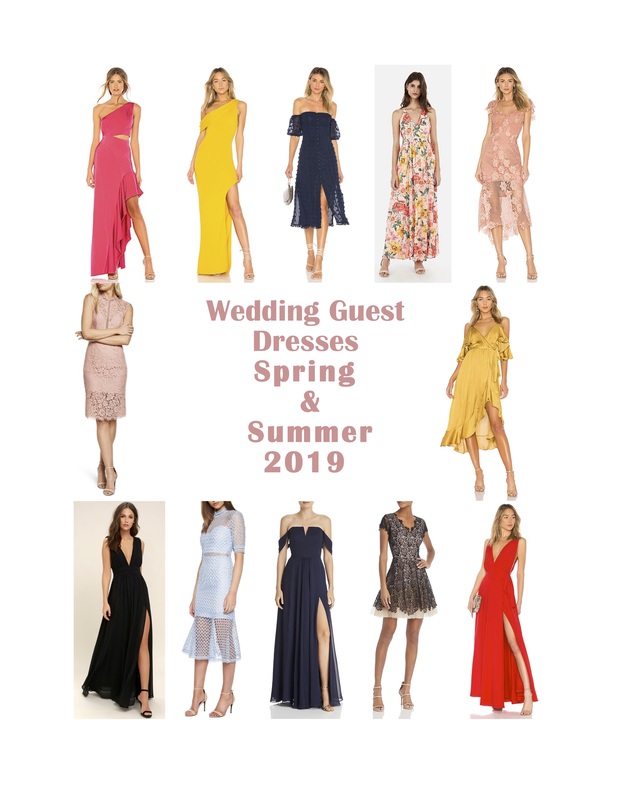 I divided the dress choices below by the three likeliest wedding attire styles that are typically suggested to guests: formal, semi-formal, and beach casual.